Synopsis: Dr. Lorenzo Cameron (George Zucco) is working out of a hidden lab in his house in the country. Not long ago he had been a respected college professor, but his unorthodox views made him a laughingstock in the scientific community and he was forced to resign his post at the university. His beautiful daughter Lenora (Anne Nagel) doesn't understand her father's penchant for secrecy, which extends to his disapproval of her boyfriend Tom Gregory (Tommy Downs), who is, we quickly learn, a big-city reporter with a nose for sensational stories. Cameron nurses tremendous resentment against his former colleagues who rejected his theories about creating a formula that can short-circuit evolutionary biology and make humans into primitive beasts. 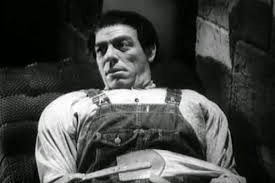 As Cameron works on his formula, he experiments without conscience on simple-minded handyman Petro (Glenn Strange). Before long he has perfected an injection to make Petro into a sort of wolfman that skulks into the countryside and kills innocent people. When Petro returns from his sojourns, he reverts to his human state and reports to Dr. Cameron that he has had strange nightmares of stalking and killing innocent people. As the death toll mounts, the simple country folk start sending hunting parties out to find the monster that is causing the trouble. Meanwhile, Tom Gregory infiltrates the group in hopes of getting a good story. 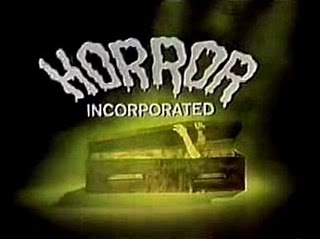 Comments: The success enjoyed by Universal during its golden age of horror wasn't lost on other studios, so it's a bit surprising that Uni's near-monopoly on the genre wasn't seriously challenged by its rivals. Columbia made some half-hearted attempts to get in on the act late in the 30s, its most successful result being Lew Landers' Return of the Vampire, released as the curtain was ringing down on the salad days of the horror genre. Tonight we get another film that tries to capture the look and feel of a Universal picture, but it isn't nearly as successful. The Mad Monster sports a title that evokes a couple of bottom-drawer Universal programmers (Man Made Monster and The Mad Ghoul) which is only appropriate -- being that this is a PRC production, bottom-drawer is about all we can expect. The lackluster script includes a mad scientist who has been ostracized by his peers at the university. Apparently his ideas about turning people into werewolves hasn't gone over so well with the other members of the faculty. Go figure! The scientist (who like any good mad scientist has decamped with his beautiful daughter to an old house in the country with a makeshift lab tucked away in a secret room) has some serious revenge issues, and the only thing that keeps him going is the satisfaction he'll get from proving to his former colleagues that his theories of turning people into werewolves isn't crazy after all. Once he proves it, of course, he'll have his lab-created werewolf tear the scoffing scientists limb from limb. Schadenfreude is easy to understand, but a fella can go overboard. It never seems to occur to him that the police might take notice if all the scientists' enemies are conveniently killed by wild animals within days of one another. The werewolf, once unleashed, has a habit of wandering off and killing random people, and now a posse of country folk are combing the woods for it. The simpleton is played by Glenn Strange, and we get an opportunity here to seem him sans makeup. He is a hulking guy, and it's easy to see why he was picked to play Frankenstein's monster in that franchise's last outings. But as the simpleton he unwisely decides to channel Lon Chaney's performance as Lenny in Of Mice and Men, which gave me the uncomfortable feeling that the role had been written with Chaney in mind. A Zucco-Chaney pairing would have been a good idea for PRC, though no doubt out of the little studio's budget; Chaney by this time was being groomed as a headlining horror star on his own, and wouldn't have been available. The problem isn't with Glenn Strange, though, nor with George Zucco, who gives it his all (the man never disappoints); the greatest problem lies, as it does in most bad movies, in the script. Nothing is well thought out here. Characters are stock, motivations are cliched, conflicts are unconvincing, pathos is manipulated; overall, we feel we've seen this movie a dozen times before, but done better, with better writing and acting. Comments: Just a few nights ago -- Halloween night, as it happened -- my ten-year-old daughter and I settled in to watch a classic horror film. We picked Todd Browning's Dracula (1931). This was not the first Lugosi opus my daughter had seen (we'd already seen Return of the Vampire, and had watched The Devil Bat a few weeks earlier) and after the movie was over she told me that the two historical figures she'd most like to meet are Leonardo Da Vinci and Bela Lugosi. I was really pleased that she said this -- not just because it was an indication that my peculiar taste in cinema is rubbing off on her, but also because I imagined the much-maligned Lugosi would have been heartened to hear such a remark. 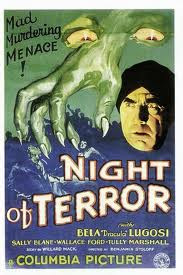 Night of Terror really plays up the horror elements in its promotional materials but downplays them once the movie starts, going for an atmosphere of zany mystery: a lot of people enter and exit in quick succession, giving the impression that a lot is going on even when little is; the principle players are never in real danger and The Maniac, who is billed as a terrible threat to everyone's safety, seems far too goofy and random a killer to be frightening. This was an unfortunate movie for Lugosi because in spite of his top billing, the character he plays is pretty far removed from the action, and simply functions as a red herring (a role he played in many pictures, including the serial The Whispering Shadow, filmed the same year). Lugosi's career peaked with Dracula, his first screen role, and it was pretty much downhill from there. His disappointing career is often blamed on his limitations as an actor: his thick accent, his hammy delivery, and so on. But oddly, whenever Lugosi headlined a movie, it seemed to make at least a modest profit; and it has always seemed to me that Lugosi's performance at the box office always met, and often exceeded, the expectations of the studios. In spite of that, studios were strangely wary of Lugosi, and he was often deemed as less than bankable no matter how much evidence accumulated to the contrary. This film has Wallace Ford turning up as a newspaperman, the sort of character who serves as both protagonist and comic relief at the same time. 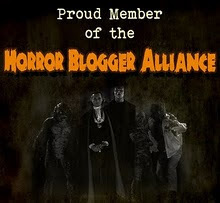 Newspaper reporters turned up a lot in horror films in this era (we have one in our first feature The Mad Monster), as they were able to antagonize both the country-club swells who were unable to perceive the threats against them, and the hidebound police detectives who couldn't see their noses in front of their faces. Sally Blane is just fine as the female lead in this picture. She didn't have many leading roles after this, but she acquits herself well here and is a believable love interest both for Arthur Rinehart and the brash newspaper reporte Tom Hartley. 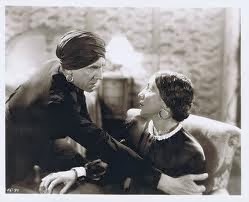 That she can seem interested in Hartley, even though he's played by Wallace Ford, is a bravura performance by itself. 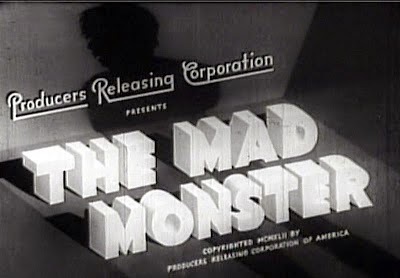 Your synopsis of THE MAD MONSTER is spot on, and with such a huge accumulation of clichés, PRC had the nerve to drag out the running time to an excruciating 75 minutes. Still, it's nice to see Mae Busch and beautiful Anne Nagel (BLACK FRIDAY, MAN MADE MONSTER) even under these circumstances. 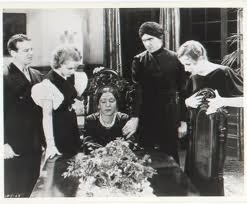 Sally Blane was not the only sibling to work with Bela Lugosi, with sisters Polly Ann Young (INVISIBLE GHOST) and Loretta Young (THE DEVIL'S IN LOVE) doing leading lady honors as well. The basic idea of NIGHT OF TERROR is one that would recur over the years, not so badly done but Edwin Maxwell's maniac is a real hoot. Wallace Ford would taunt Lugosi again in THE MYSTERIOUS MR. WONG and THE APE MAN.